A different school of thought. Collegiate Baton Rouge ranks #1 in growth among twelve open enrollment high schools in Baton Rouge. Serving Baton Rouge families with 9-11th graders in the 2019-2020 school year. We are excited that our new state-of-the-art building will open August 2019 at 282 Lobdell on the corner of Florida and Lobdell. With 99% of our seniors accepted to college, Collegiate Academies is a network of high schools with proven success in Louisiana. 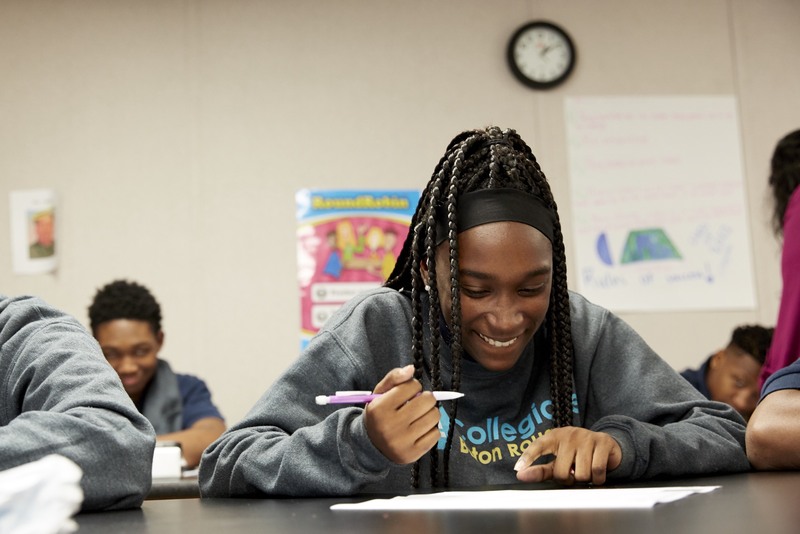 Over 50% of our students receive intervention services, so no matter what your test scores or grades, it is our mission to help you grow and excel to be college and career ready at graduation. We provide free transportation to all students, 1-to-1 Chromebook for every student, and your first uniform is on us. Kelsey Lambrecht leads a team committed to the Baton Rouge community. A former teacher and leader at CA’s Sci Academy, Kelsey comes to Baton Rouge with experience from one of the highest performing open-enrollment high schools in New Orleans. 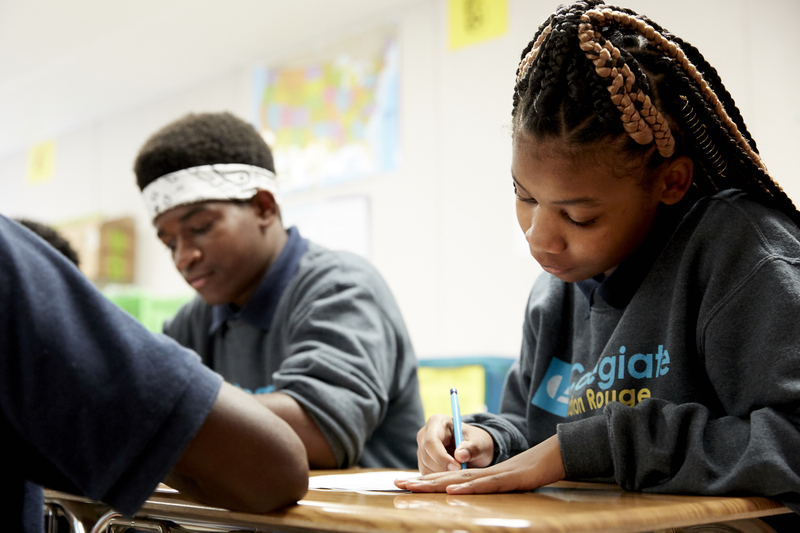 Starting with 9th grade in the Fall of 2017, Collegiate Baton Rouge will serve 9th-11th graders next year and all grades by the Fall of 2020. Teacher Feature 01 – Kelsey Lambrecht from Collegiate Academies on Vimeo. Click here for answers to Collegiate Baton Rouge’s frequently asked questions. To learn more about Kelsey and the vision for Collegiate Baton Rouge, click here. To learn more about Collegiate and Collegiate Baton Rouge, click here. Kelsey Lambrecht has been tapped to lead a team committed to the Baton Rouge community and its incoming 9th graders. 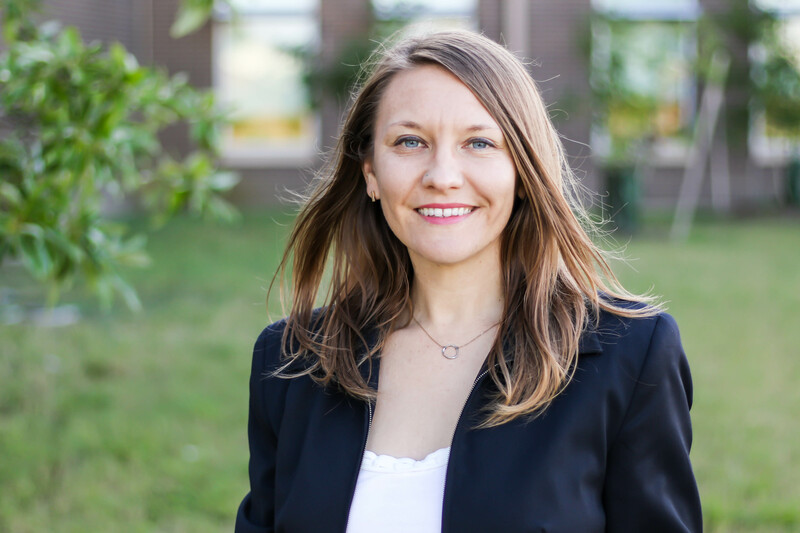 A former teacher and leader at CA’s Sci Academy, Kelsey comes to Baton Rouge with experience from one of the highest performing open-enrollment high schools in New Orleans. Starting with 9th grade in the Fall of 2017, Collegiate Baton Rouge will add a grade each year serving 9th-12th graders by the Fall of 2020.